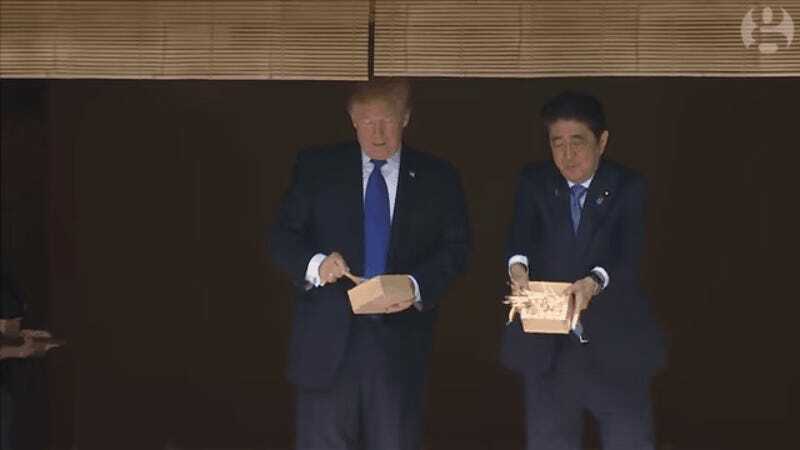 Did you see that photo from yesterday of President Trump with Japanese Prime Minister Shinzo Abe at the koi pond? 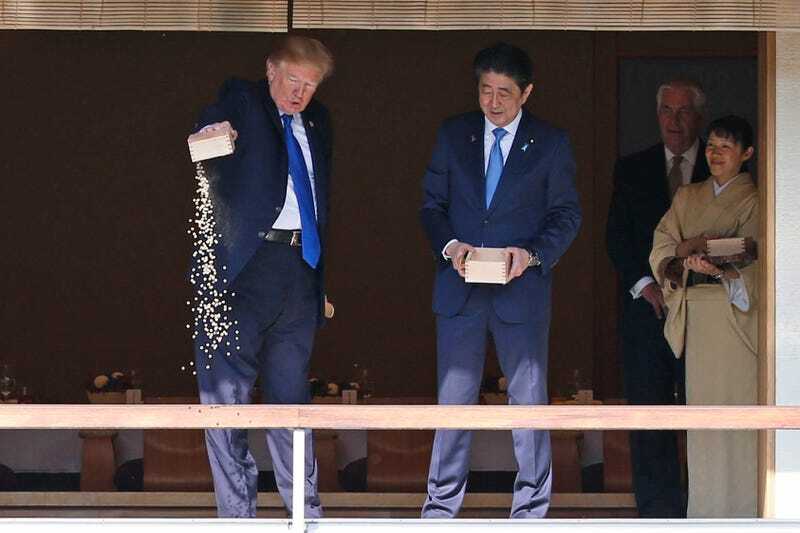 It purportedly shows Trump crudely dumping fish food into the pond as Abe looks on in horror. The photo went viral last night as people ridiculed Trump for being such a buffoon. But the photo is actually misleading. Yes, Americans rightly have plenty of preconceived notions about President Trump’s ridiculous behavior. But the story that was attached to this photo, and instantly went viral on Twitter, isn’t accurate. In reality, Abe was first to pour his fish food into the pond. President Trump was simply following his lead. The two were carrying on a tradition at the koi pond, and critics of Trump were quick to point out that you shouldn’t feed koi too much food. So where did this inaccurate narrative for an admittedly stupid and inconsequential story come from? The first White House pool reports. But as you can see from the video, Trump was merely doing what his host had done. Conservative commentators have pointed to this incident as a case of “fake news” that shows just how untrustworthy the media are. And while it’s an unfortunate gaffe, it’s perhaps not the biggest scandal of the day. In the wide world of media mistakes, Koigate is probably somewhere between a spelling error and posting the wrong hyperlink. But you can be sure that we’ll be talking about Koigate for some time as an example of what’s wrong with the media. Because nobody is operating in good faith anymore. The year 2017 and beyond is simply a contest to see who can be outraged over the most minute details of any scandal. All while very real scandals are dismantling American democracy.